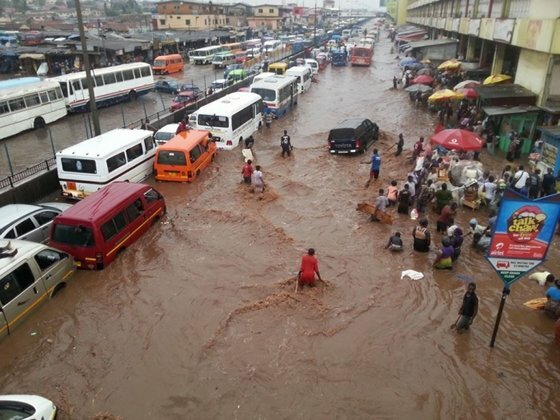 Deadly downpours have lead to flooding in Southern Ghana. “The nation’s capital was hit bit 185mm of rain on Sunday, which is more than they would expect for the entire month of June. This is the wettest month of the year with an average rainfall of 178mm. The rainy season is expected to last until early July.